A major feature of the Fusion Engine is the ability to change drums. 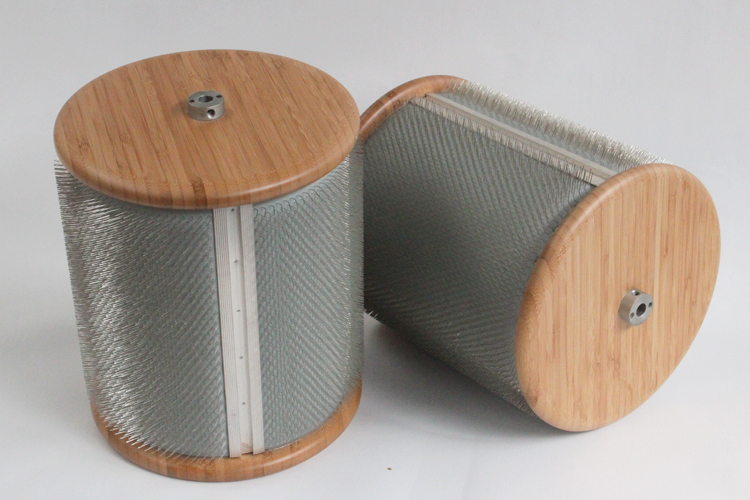 There is no need to purchase multiple carders to work with different kinds of fibres as we offer drums with different carding cloth densities. Your carding becomes considerably cheaper and your single machine far more versatile. There are just three grub screws holding the main drum in place, and it is possible to swap the interchangeable drums in a couple of minutes! In addition to the standard 72tpi cloth, we are also offering 96tpi and 128tpi cloth drums. More cloth ranges may be available in the future dependent upon demand. 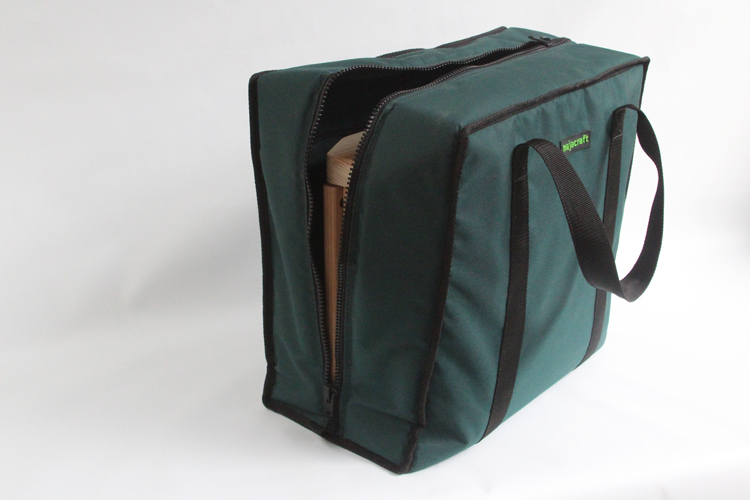 The Fusion Engine is a solid machine to move around so we have designed a carry bag that makes it easy to take with you and protects the carder from the inevitable knocks that happen when travelling from one place to another. 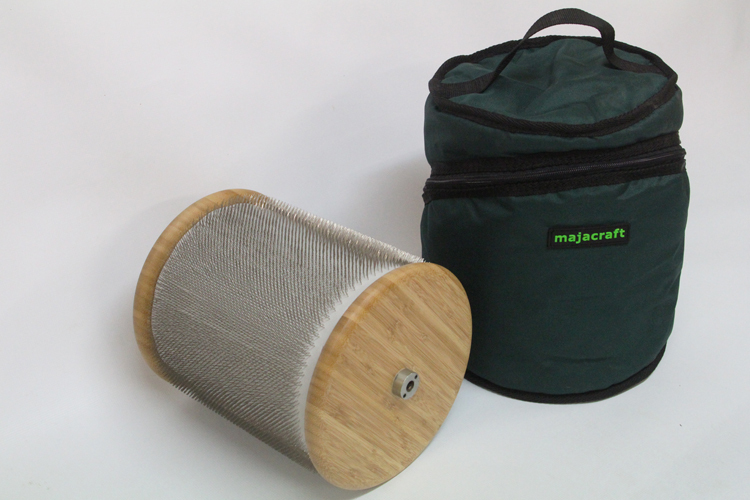 It is finished in Majacraft green and has convenient shoulder straps for comfort. 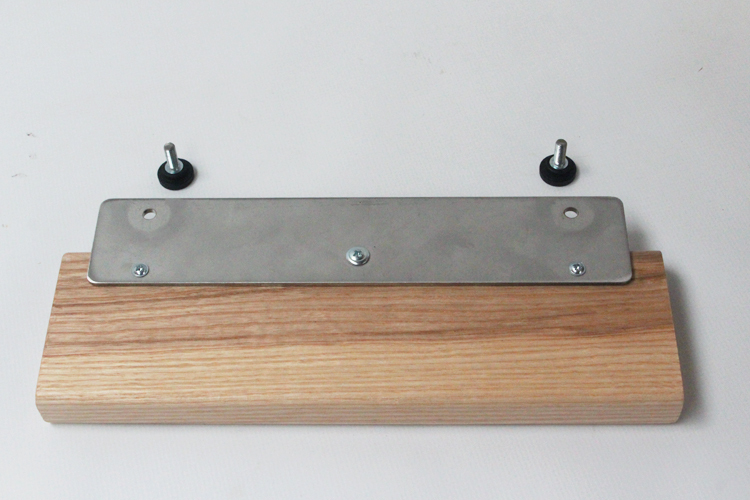 If you have either purchased a spare drum for you Fusion Engine to extend the range of fibers you can card then we have just the accessory for you. And now we have solved the problem of storing and transporting that second drum with this purpose made bag. 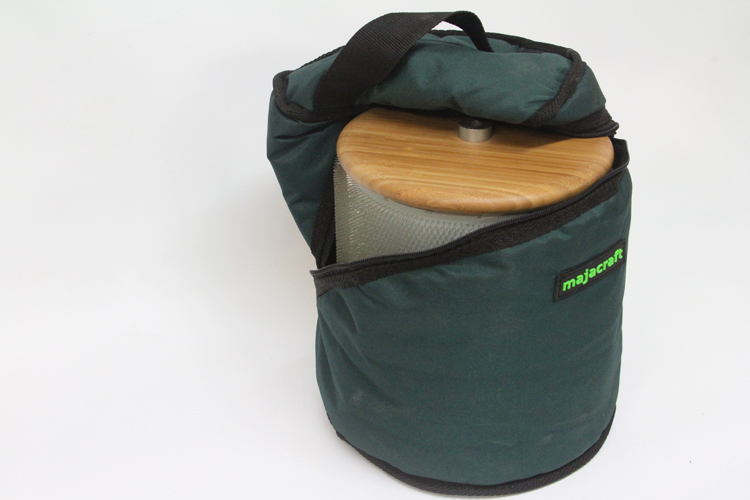 The angle on the zipper that allows the bag to completely open makes it easy to get the drum into the bag past all those prickly pins and the carry handle on top makes it simple to transport around. This is a great way to look after your valuable second drum. 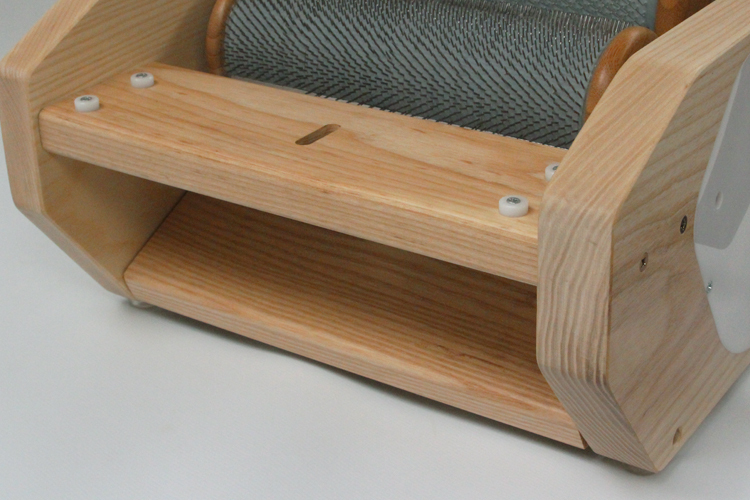 Because this carder is so effective at blending fibres, it can be difficult to do techniques like the Art Batt (also known as the “Fibre Sandwich”). We included provision for the Direct Injection Feed Tray that supplies the fibre to the licker in much later. Applying the fibre to the licker-in later means it is broken up less and not opened up quite so much. Hence more texture is left in the batt which is a critical element in Art Batts. A pair of screws secures the Direct Injection tray onto the main brace.